Picked up this breeder lesser male for my ladies. I am hoping he will be pared up with my Enchi and pastel this year. Thats the most unique lesser ive ever seen. Looks like a mojave without the blacks and gold. Superior. When his kids come out, id love to see and take one off your hands! Last edited by sookieball; 09-27-2012 at 12:20 AM. hey has some nice areas with reduced pattern. And he's kept his contrast well considering he's an adult. Nice addition! He is gorgeous! 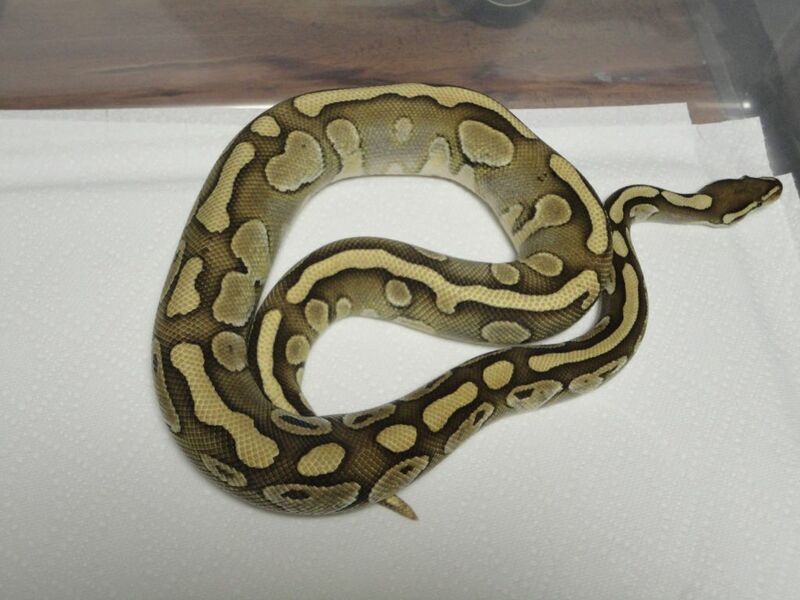 I hope to eventually have a lesser because I have some big plans for a breeding project in a few years! Nice pickup!